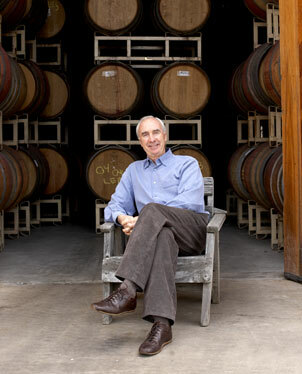 Winemaker Fred Scherrer pays a visit to Vino in Restaurant Row on June 25 for a tasting session and a four-course dinner. The Scherrer Winery in Sonoma County, Calif., is known for a variety of wines, from chardonnays to zinfandels. The tasting, from 5:30 to 7 p.m., will feature 2-ounce pours of the 2002 Scherrer Vineyard Chardonnay, 2002 "Old & Mature Vines" Zinfandel, 2005 Sonoma Valley Pinot Noir and 2001 Girasole Eaglepoint Ranch Syrah. Cost is $35. Dinner at 7:30 p.m. features chef Keith Endo's menu: Beef Carpaccio (2003 "Old & Mature Vines" Zinfandel), Nicoise Salad (2007 Vin Gris), Pan-Seared Chilean Sea Bass (2000 Scherrer Vineyard Chardonnay) and dessert. Cost is $68. Call 533-4476. Justin Baldwin brings his Paso Robles, Calif., wines to Lanai. Deborah and Justin Baldwin, owners of Justin Winery in Paso Robles, Calif., will join chef Fabrice Huet to host a wine dinner at the Four Seasons Resort Lana'i on June 23. The four-course meal at the Lodge at Koele will be served from 6 to 9 p.m. The menu: Sea Salt Roasted Heirloom Beets with Organic Micro Greens and Crispy Goat Cheese Lumpia (with Justin Chardonnay 2006), Carnaroli Risotto and Kona Lobster (Justification 2006), Grilled Kobe Beef Strip Loin (Isosceles 2005) and Valrhona Caraibe Chocolate Parfait with Honey Roasted Pears (Obtuse 2006). Cost is $125. Call 565-2335.